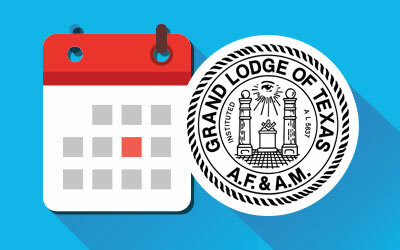 At the Grand Annual Communication of the Most Worshipful Grand Lodge of Texas, A. F. & A. M., held in the City of Waco, Texas, on the 5th day of December, A. D. 1935, Brother W. M. Marcus Weatherred was elected, and on December 6th was installed as Most Worshipful Grand Master of the Grand Lodge of Texas, A. F. & A. M. He served through the year 1936 until his successor was elected and installed in December of that year. 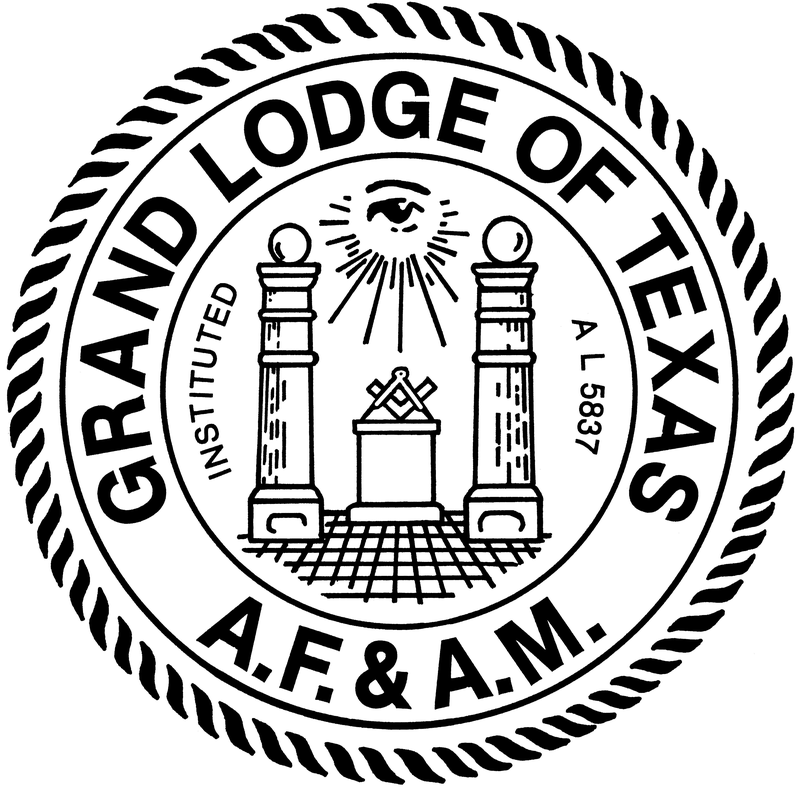 The administration of the affairs of the Grand Lodge were handled in a most capable and distinguished manner and his administration stands out among his illustrious predecessors as one of the most successful and satisfactory to the membership of this Grand Jurisdiction. He visited many of the Lodges throughout the state and the zeal manifested by him in arousing the spirit of the membership had much to do with checking the decline in membership due to the unfavorable economic conditions prevailing throughout the country. He maintained on all occasions the loftiest ideals and ancient traditions of the Order. He retired from the duties of the office with the love and affection and hearty approbation of the entire membership. Brother Weatherred was born near Osceola, Hill County, Texas, on February 5, 1887. His father was named W. W. Weatherred and mother Anna M. Brown Weatherred. The family later moved to Itasca, Hill County, Texas, where he received his first education in the public schools of that progressive little city. He later entered Southwestern University at Georgetown, Texas, and completed his education at the University of Texas, Austin, Texas, and was a member in that institution of the Kappa Sigma Fraternity. He moved to Coleman, Texas, his present residence, in 1903. He was admitted to the bar in 1908 and has had a distinguished career as a lawyer in that section of the state. He was elected County Judge of Coleman County, Texas, and served from 1914 to 1919 in that office, resigning during his third term to resume the private practice of the law. He considered the public service rendered as County judge as fulfilling his duties to the public as an office holder and has never sought, held or cared for public office since that time. He married Miss Lottie John Stevens, daughter of John A. Stevens and Mary Elizabeth Gathings Stevens, at Covington, Texas. He is a member of the Methodist Episcopal Church, South, of Coleman, Texas, and president of its Board of Trustees and has taught the Men’s Bible Class of that church for more than twenty-five years. 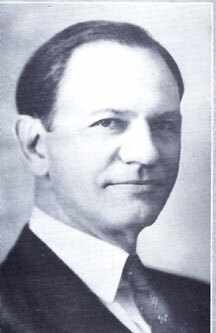 His interest in humanity made his election as president of the Overall Memorial Hospital at Coleman, Texas a natural one. Brother Weatherred was initiated as an Entered Apprentice February 23, 1918; Passed: March 23, 1918; Raised: April 27, 1918, in Coleman Lodge No. 496, A. F. & A. M., and is a Past Master of that Lodge. He received all of the Chapter degrees and is a member of Coleman Chapter No. 287, Royal Arch Masons, and Coleman Council of Royal and Select Masters No. 222. He was knighted a Knight Templar in Brownwood Commandery No. 22, Brownwood, Texas. 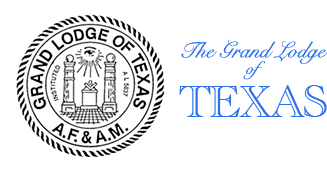 He received the thirty-two degrees of Ancient and Accepted Scottish Rite in Dallas Consistory No. 2 and is a member of Hella Temple of the Order of the Mystic Shrine. He served with distinction on various committees of the Grand Lodge, among which may be mentioned the committee on “Grievances and Appeals,” on “Masonic jurisprudence” and the committee on “Purposes and Policies,” being chairman of the latter committee at the present time. Possessed of a pleasing personality, gentle and kind in his nature, firm and steadfast in his conviction of right and justice, eloquent in diction and address, profound in his knowledge of Masonic traditions, customs and usages, his administration has taken its place among the most illustrious of the Grand Masters of Texas, of which he was the 98th in line.